The Kineduo combined bath and shower unit delivers the best of both worlds and is packed full of practical features that make bathing and showering a pleasure, particularly for those of limited mobility. Manufacturer’s RRP £2,506 – so buy here for BIG savings! Also savings of up to 50% on ALL accessories! 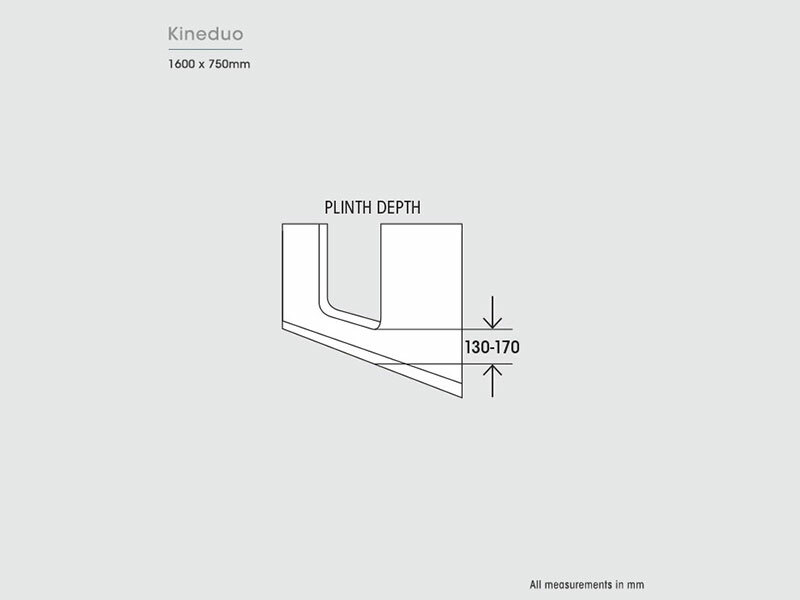 Note about choosing the ‘left’ or ‘right’ for the dimensions below: it marks the position of the headrest for the Kineduo unit, example: If you are walking into the bath and the the headrest is on your left, then it is a “Left” unit. NOTE: Make sure to match dimensions chosen above. If you would like to add waterfall taps and/or seat to your Kineduo Bath, please tick accordingly (optional). 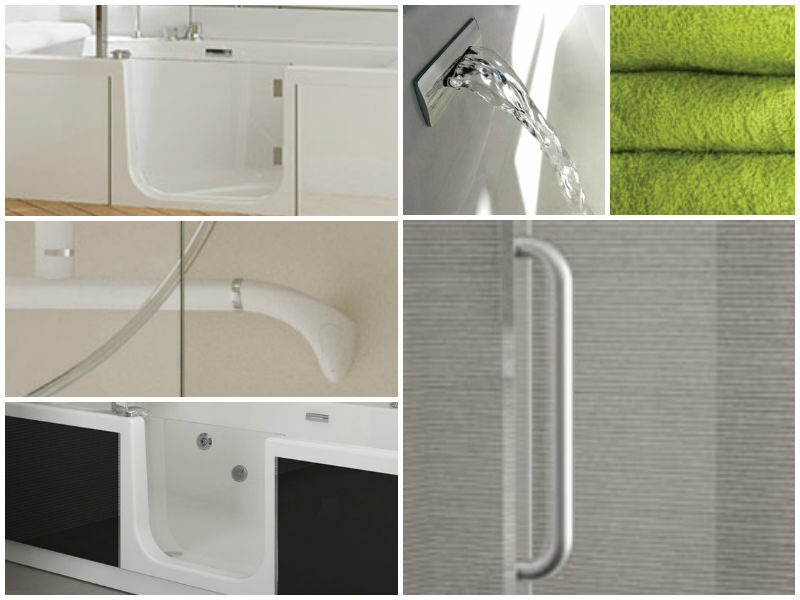 Manufacturer’s RRP: £972 for waterfall taps. £199 for seat. 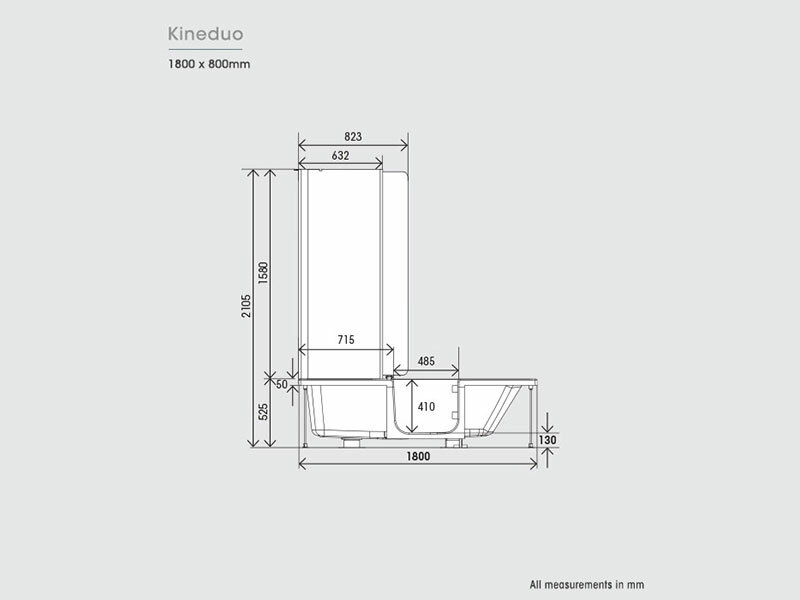 The Kineduo combined bath and shower unit delivers the best of both worlds. It delivers many practical features that make bathing and showering a pleasure, particularly for those of limited mobility. 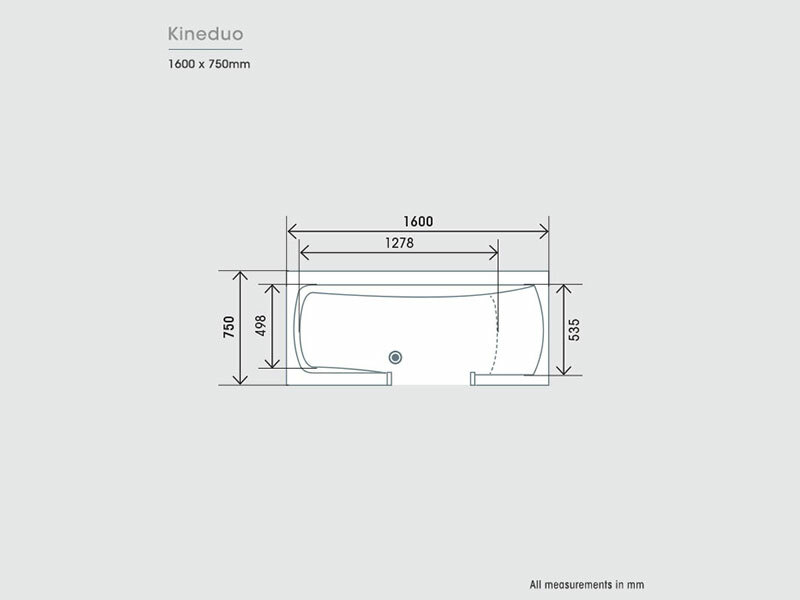 Simple step-in access through a hinged and toughened safety glass door makes the Kineduo appealing to able-bodied and less able users alike. It comes in a range of six sizes and with several fit options. 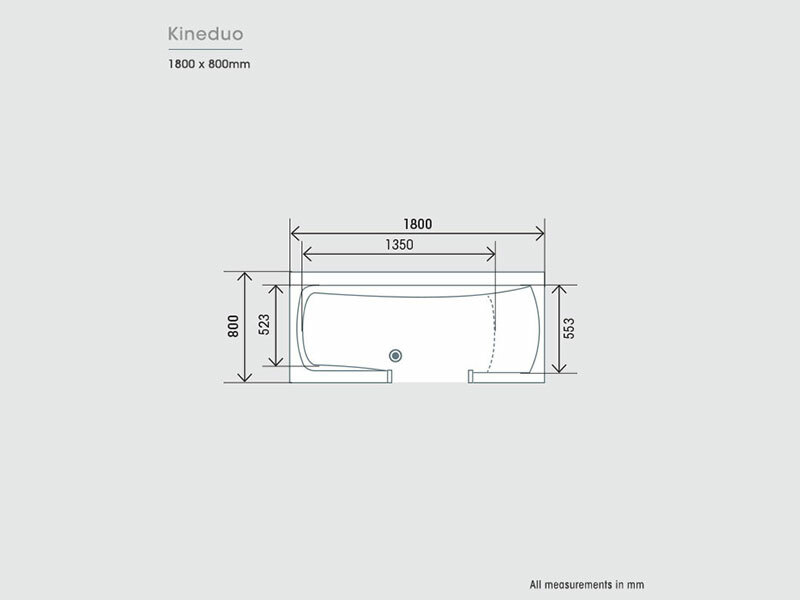 What really makes Kineduo stand out is the potential for customising its specification to meet your own requirements or suit your personal preferences. 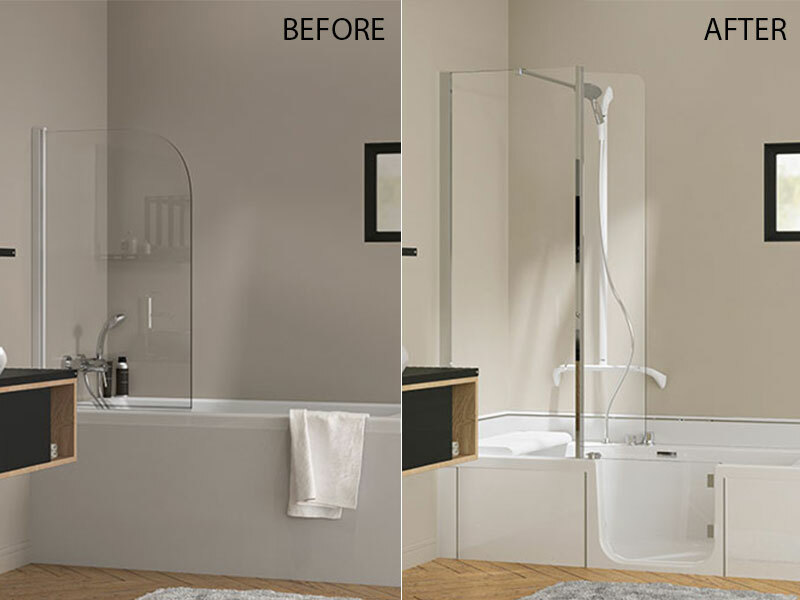 This easy-access shower and bath system is constructed from fully encapsulated acrylic material. This means it is extremely long-lasting and robust. It includes an adjustable feet system and it is available in both left-hand and right-hand versions. This makes it suitable for installation in any bathroom and for any user. 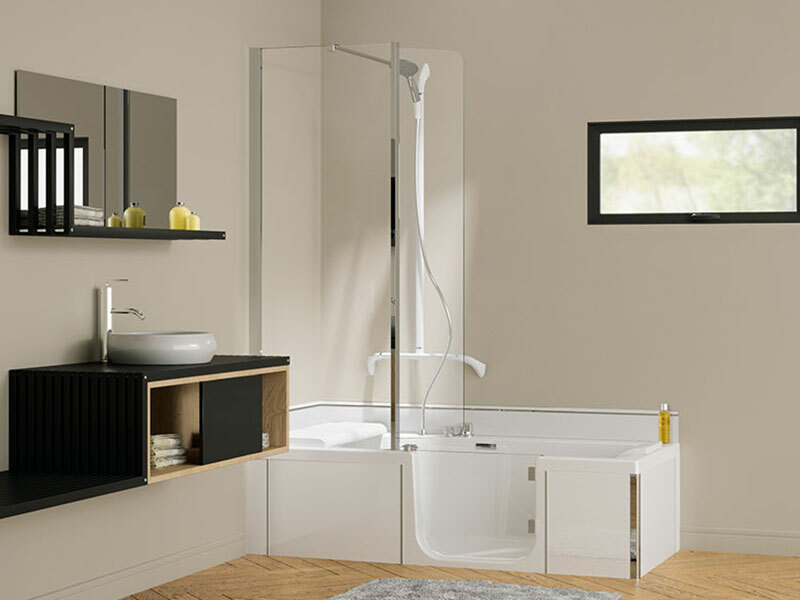 Standard features include a toughened safety glass door, a cushioned headrest, and an easily-operated pop-up plug. 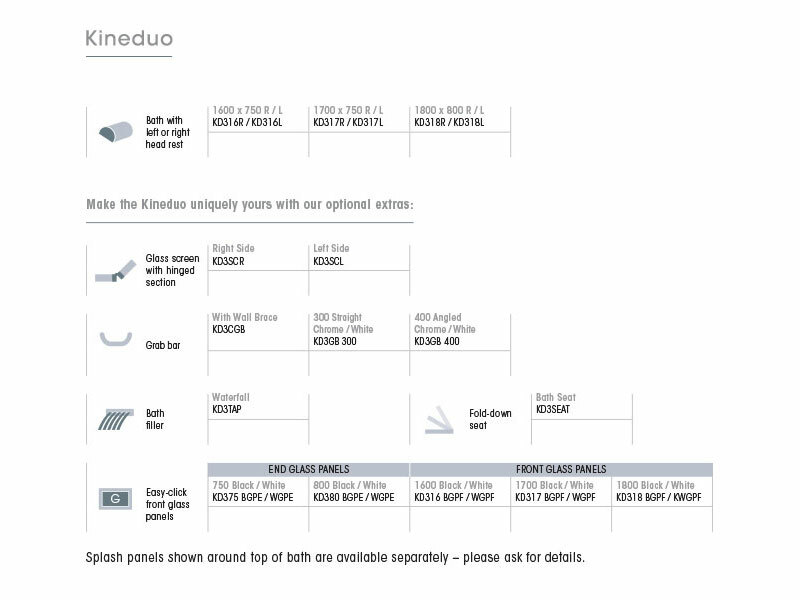 There is a wide range of optional extras also available, including stunning waterfall bath filler taps, to make your Kineduo unique. 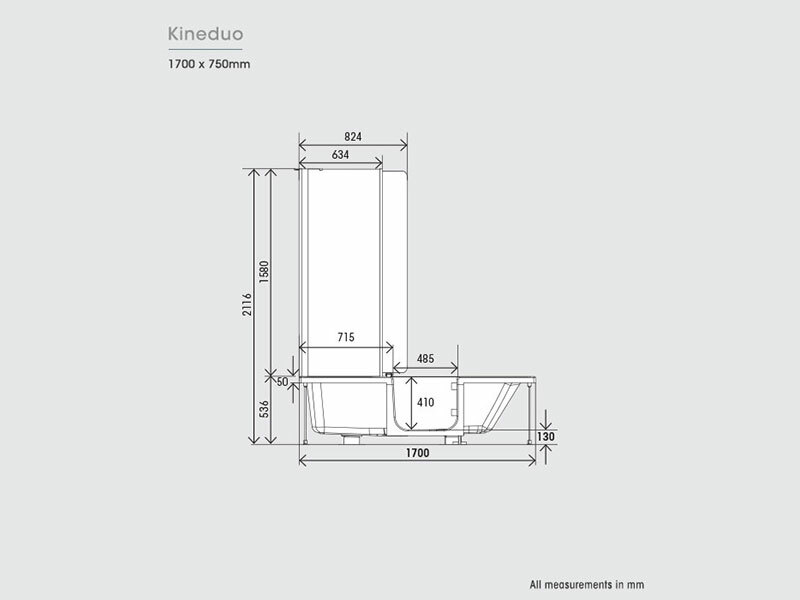 The Kineduo along with all of our SANIFLO Systems and Kinedo Shower Cubicles can be bought online with the reassurance of dealing with the leading SANIFLO & Kinedo Agent in the UK.